OC Mom Activities: Cars 2 Gift Pack Giveaway! Cars 2 Gift Pack Giveaway! We have eagerly been awaiting the arrival of Cars 2 in theaters. 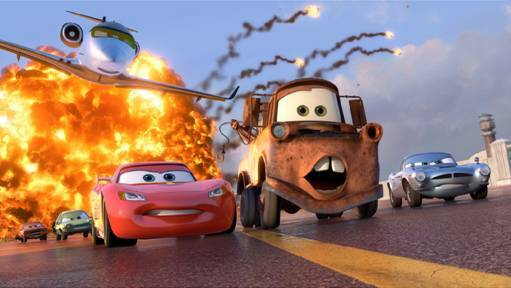 The first Cars movie is one that has been watched many many times in our house. I've got a really cool prize pack of Cars 2 items to giveaway to one lucky reader. 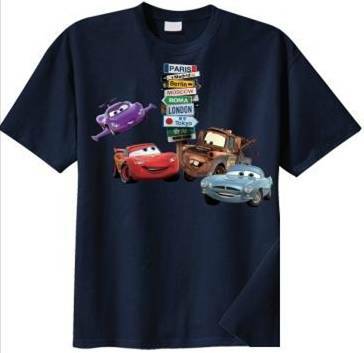 It includes a Cars 2 t-shirt in youth sizes (pick S, M, L or XL), a set of 3 Cars 2 bumper stickers, Cars 2 temporary tattoo sheets (2) and a Cars 2 puzzle. Giveaway will end Sunday July 3rd, 2011 at 12 midnight pacific time. A winner will be drawn using random.org and I reserve the right to draw another winner if I am not able to get mailing address information in a timely manner. Giveaway is only open to residents of the contiguous US. Required first entry is a comment saying who your favorite character was from the Cars movies. Additional entries will be accepted for becoming a Facebook fan of OCMomActivities, following on Twitter, posting about this giveaway on your Facebook page. Please be sure you leave me a way to reach you! Lightning McQueen, Mater, Sally, Flo, Ramone are my favorites! We love them all but Mater is hillarious! As usual i am searching some useful information, immediately i found this post and gain some useful information great work such a great brain to use. We have a winner for the Wendy's card! Wendy's #TreatItFwd and Rapid Giveaway! Hurry!